James C. Fargo (1829-1915), Express Executive, Brother of William G. In 1866 became Superintendent of the American Express and in 1881 became President. James F. Fargo (born 1857), Express Executive. 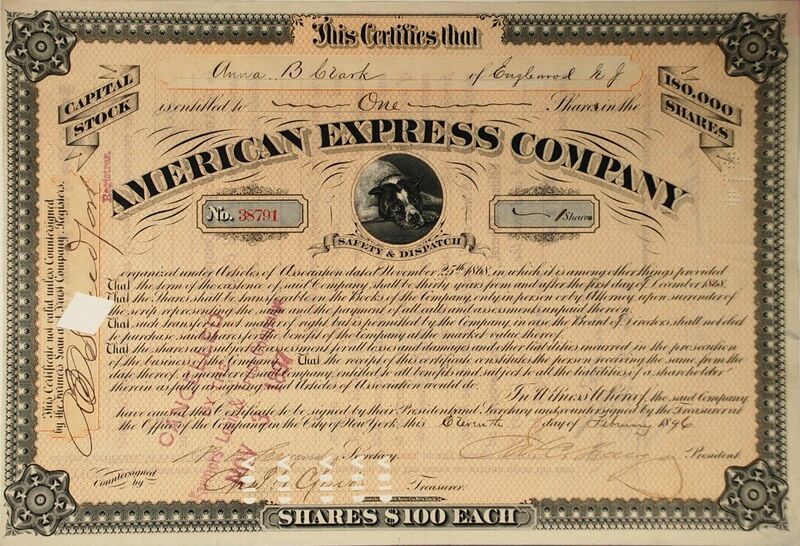 In 1883 joined American Express, later Treasurer and Vice President. William H. Seward, Jr. Son of William H. Seward (of Sewardï¿½s Folly Fame), Secretary of American Express for many years. 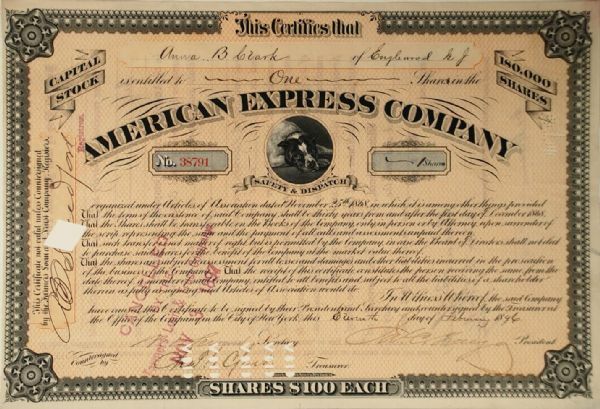 1897 American Express Stock neatly hole and stamp cancelled. Great signatures of James C. Fargo and Seward. James F. Signature hole cancelled. Excellent Condition.